A tall, architectural plant with flower spikes held clear of the palm-like foliage. 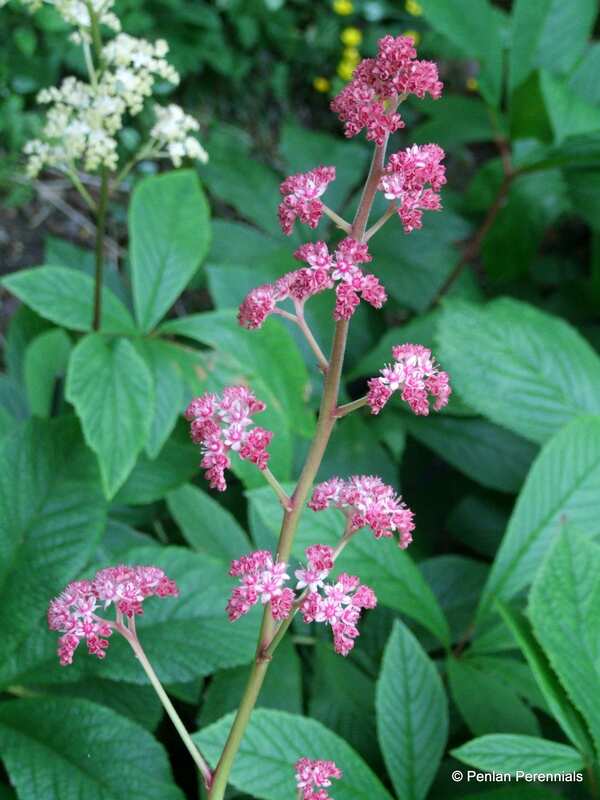 The flowers are bright pink from dark red buds and the leaves are palmate and often red-purple when they emerge, turning green as the season progresses. 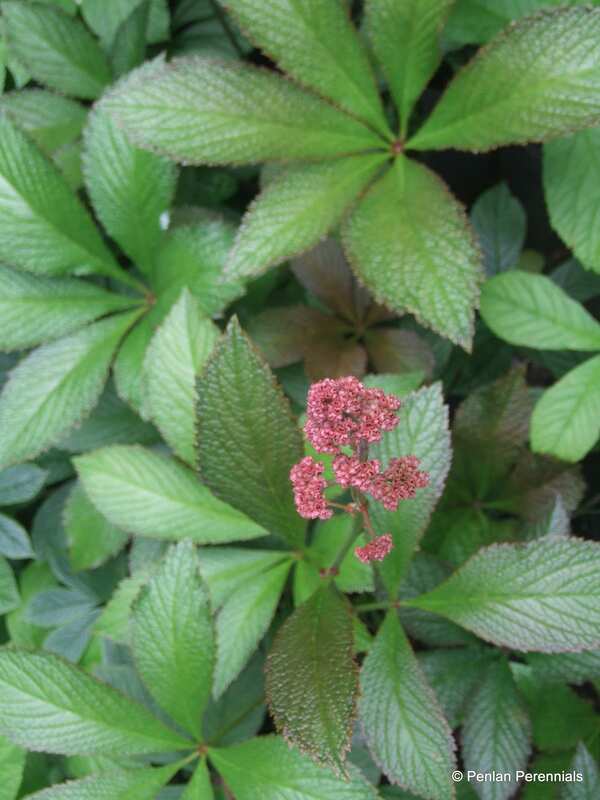 An excellent plant in a waterside location, requiring a constantly moist soil in summer to really perform. Brilliant autumn foliage colours. AGM. Hardiness rating H5. Deciduous, so only requires a tidy in spring, which is also the best time to divide the rhizome.